A large part of my job is to keep up with the latest trends in email marketing, which means I read a lot of blogs. And it never ceases to amaze me how many people write about open and click rates as the “be-all and end-all” of email marketing. Now don’t get me wrong, it’s very important to have high open and click-through rates. 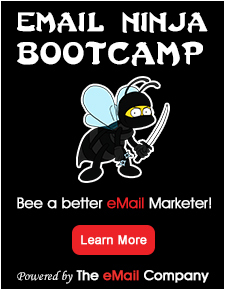 But the aim of the game for email marketing should always be to get conversions, and lots of them. For example if you’re an online retailer, the reason you send emails is to increase revenue. So the number one thing you should want your email to do is to drive purchases. 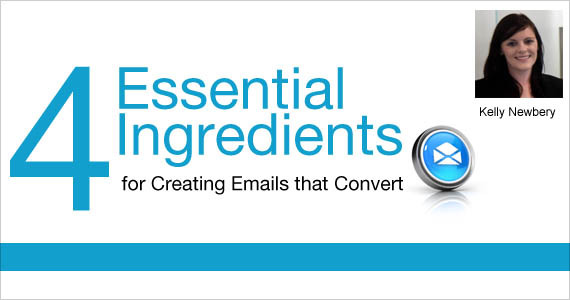 Whatever your desired end result is, it can seem like a big task to get conversions, which is why I want to share with you 4 essential ingredients to create emails that convert. 1. Have a clear objective for your email. 2. Create valuable content that your customers want to receive. Relevant – Customise the content in your emails for different segments within your customer base. You can easily do this using conditional content. Benefit-focused – Offer something of value in your emails whether it’s an educational resource, special promotion or useful tips. 3. Use compelling design to entice your readers to act. When it comes to email design one of the most important elements is brand consistency, as this builds trust with your customers. If your emails drive your customers to your website then their experience needs to be consistent. Have an even ratio of images to text. Keep your emails easy to scan by using sub headings, bold text (when appropriate) and bullet points to break up content. Use alt text to encourage readers to turn on your images, as many of them will have their images blocked by default in their inbox. Tell your customers exactly what you want them to do! Your call to action should relate to your objective and needs to be simple and obvious. If you want your call to action to cater to all readers include both text links and image links. And remember to include ample padding to make sure it is easy for your reader to click or touch (depending on what device they use) the call to action. Takeaway: Although it’s important to keep track of opens and clicks, when it comes down to it the most essential metric is conversions. I’d love to know: What’s your top tip for creating emails that convert? Share your ideas in the comments section below.